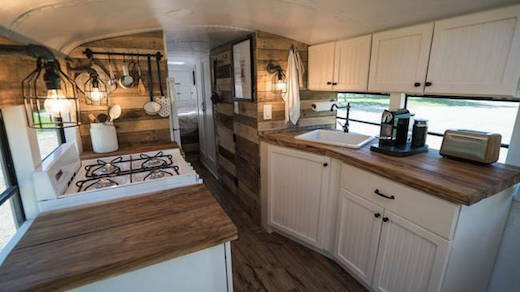 Living in a mobile home is a dream for many, and there are many ways of living that dream. 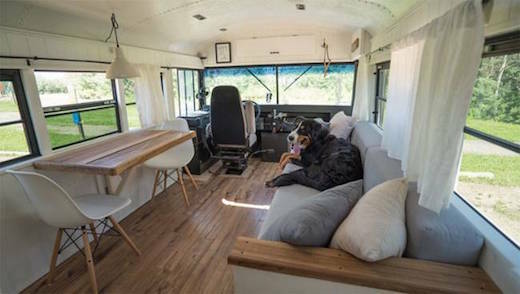 Filmmaker Felix Starck and musician Selima Taibi are a young German couple hailing from Berlin, and they recently transformed a yellow school bus into a cozy and quite comfortable home for themselves and their dog Rudi. 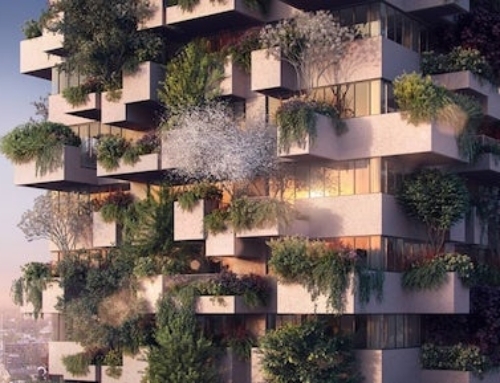 They plan to live in it full time, while traveling from Alaska to South America. 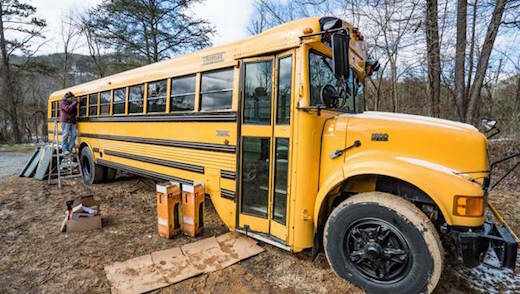 They used a 39-foot long 1996 Thomas International school bus for the purpose, which they purchased online for $9,500. Once they had it, they moved to the US and began the conversion process, dubbing the entire project Expedition Happiness. 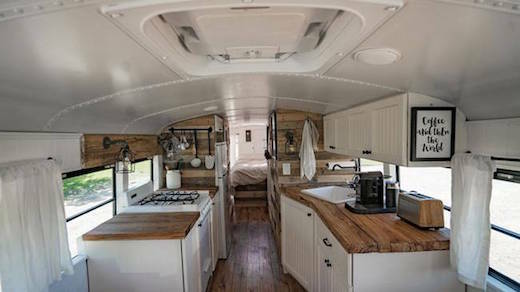 It took them 12 weeks to create a home out of the bus. 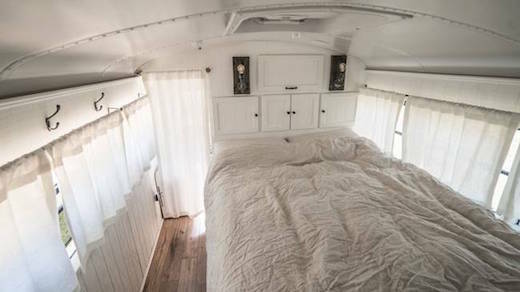 Since they had next to no prior construction experience, they got help from online forums and communities, as well as another couple from North Carolina who had also successfully converted a school bus into a home. 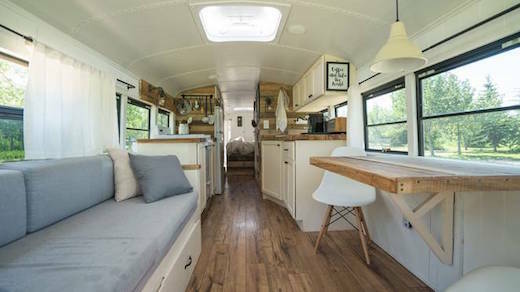 Apart from repurposing a school bus, they also used a number of other salvaged and repurposed materials, such as pallet wood. The interior is nicely spaced out, with a sizable sitting area and dining/work table at the front of the bus, behind the driver’s seat. The kitchen is also quite large, and features an angled counter, stove, sink and a refrigerator. 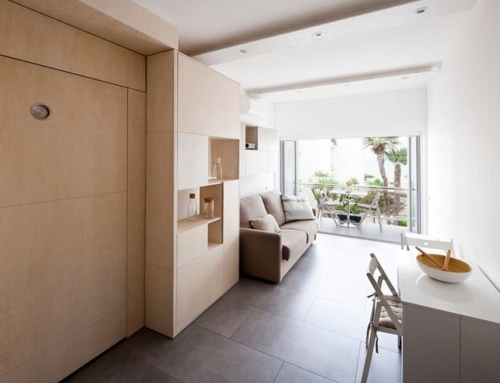 The cupboards offer plenty of storage space. 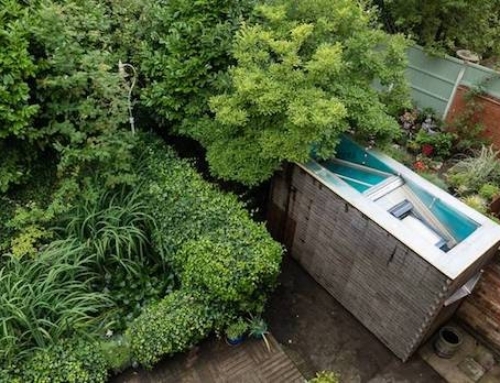 They split the bathroom into two halves along the middle of the bus, which is quite an interesting solution. 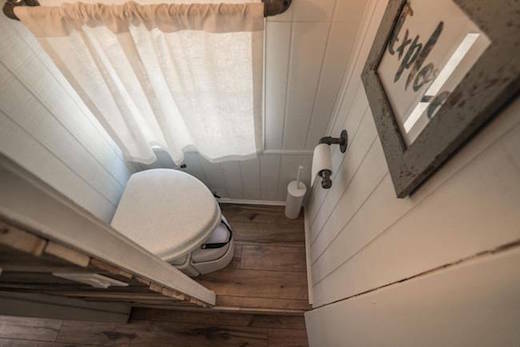 The toilet is located in one half, and the shower in the other. 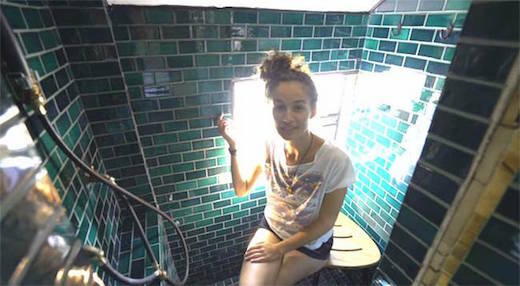 They tiled the latter with handmade tiles. They built the bed themselves, and put large storage drawers underneath it. They also placed it right under the emergency escape hatch in the roof of the bus, which makes for a great skylight. The bus can be hooked up to the grid, but it also features a solar power array on the roof. The couple has already started their journey and vlog about the experience regularly.